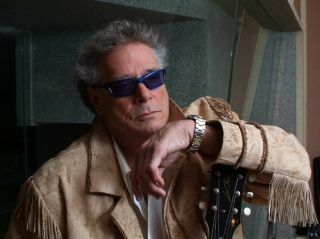 Leslie West: "My leg was amputated… THERE'S the blues for you!" The guitarist, who made his name with 60s proto-metal band Mountain, was interviewed for the latest issue of Total Guitar only four weeks after his operation, but showed no sign of slowing up. "Listen, you know what the blues means to me?," West told TG's Matt Frost. "I woke up one morning and my leg was amputated… I didn't know what the f*** happened. There's the blues for you!" "Things are going as good as can be expected…We're going on tour [in the US] on 6 October. I might not have my prosthetic by then, but I have a great electronic wheelchair that's like an all-terrain gig!" Pickup Total Guitar issue 219 to read our full Leslie West interview, in which the guitarist talks about his amazing career, including playing Woodstock, working with Pete Townshend, and assembling the 'Usual Suspects'.